Flynn, President Trump’s first national security advisor, pleaded guilty in December 2017 to “willfully and knowingly” making false statements to the FBI during interviews on meetings he took with Russian Ambassador to the United States Sergei Kislyak. The report specifically highlights that Flynn pleaded guilty despite bureau agents determining that there was no “deception” in his interview. “According to the charging documents, on or about December 22, 2016, ‘a very senior member of the Presidential Transition Team’ (PTI) directed General Flynn to contact representatives of foreign governments,” the House Intel report reads. “This request concerned a resolution about Israel[ settlements submitted by Egypt to the U.N. Security Council around December 21, 2016. 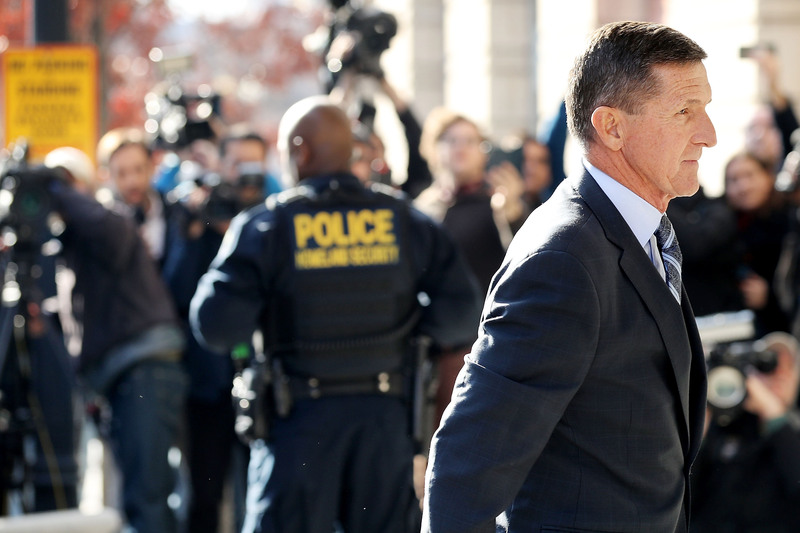 Some, including Fox News’ Judge Andrew Napolitano, have suggested that Flynn was innocent and strong armed into making a guilty plea by the government.